Groups and Teams - Very Different Things #PMOT #projectmanagement https://t.co/d3lOvHx4fe https://t.co/zCVMYQv8Qy - moments ago. Simulations are fun, motivational, emotional, entertaining and educational. #PMOT #projectmanagement https://t.co/1vDZwVb4aD - over an hour ago. People deliver projects, plans help. Get the people on your side! 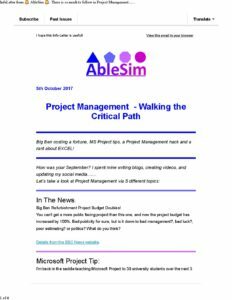 #PMOT #projectmanagement https://t.co/VyJDifInYF - over an hour ago.